Most pregnant women assume their babies will arrive right around their due date, give or take a week or so. Although that's usually the case, a growing number of babies are being born prematurely, at fewer than 37 weeks gestation. Between 1981 and 2001, there was a 27 percent increase, to about 476,000 births per year. 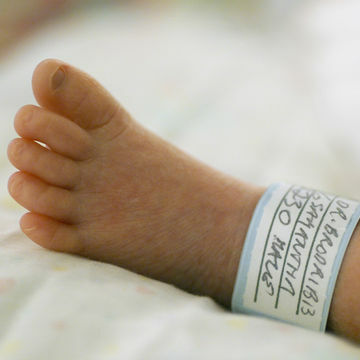 Currently, premature births in the United States account for 1 of every 8 births, according to the CDC. This trend is disturbing, since pre-term-related issues are the leading cause of death among newborns. What's more, those who survive are more likely than full-term babies to suffer from lifelong health problems such as mental retardation, blindness, hearing loss, chronic lung disease or cerebral palsy. And about 25 percent of very premature infants—those born before 32 weeks—have significant, long-term impairment of their brain development. A woman is more likely to deliver prematurely if she has done so previously; suffers from a chronic illness such as diabetes, anemia or hypertension; smokes or uses drugs; is pregnant with more than one child; is African-American, American Indian or Latina; has had an infection such as bacterial vaginosis during her current pregnancy; is over 35; experiences severe chronic stress during her pregnancy; conceived as a result of infertility treatment; or has certain abnormalities of her cervix or uterus. Increases in the numbers of older mothers and multiple births only partly explain the rise in prematurity. "Half of all preterm births have no known cause," says Siobhan Dolan, M.D., assistant medical director of the March of Dimes, which recently launched a World Prematurity Day campaign to reduce the number that occur. In a recent study, injections of a form of the hormone progesterone prevented more than one-third of premature births in 463 women with a history of delivering early. "The evidence of this treatment's effectiveness was so dramatic, the research was stopped early," says Paul J. Meis, M.D., a professor of obstetrics and gynecology at Wake Forest University in Winston-Salem, N.C., and the study's principal investigator. Other promising areas of research involve pinpointing the exact roles of chronic stress and anxiety, as well as exercise during pregnancy. Studies conducted at the University of North Carolina at Chapel Hill found that women who experienced high levels of anxiety, stress or racial discrimination during pregnancy were more likely to have preterm babies, while women who engaged in "vigorous leisure activity," such as aerobic dancing or swimming laps, during the first and second trimesters were less likely to give birth early. In the latter case, the researchers say, positive effects of exercise may be due to self-selection—in other words, women who are having healthier pregnancies might be more active, and vice versa. More study is needed in both areas. Unfortunately, even though many obstetricians prescribe it, bed rest does not seem to prevent premature delivery. "There's really no evidence that bed rest makes a difference," says the March of Dimes' Dolan. * Treat any infections and have chronic medical problems addressed before you get pregnant. * Be in the best possible physical shape. * Stay as close as possible to your ideal weight. * Stop smoking, drinking and using any illicit drugs. * Familiarize yourself with the signs of premature labor so if you do experience it, you can get help early. Once you've taken these steps, try not to worry about delivering prematurely as the odds are in your favor. "Premature labor can happen to anybody," Dolan says, "but the majority of babies are born healthy." And right around their due dates, give or take a week or so.